New "Akkari Poker Quiz" app challenges users with quizzes on poker terms, trivia, strategy & more. 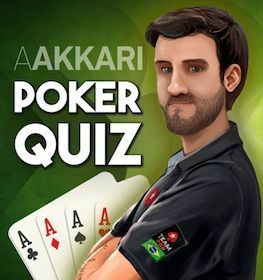 "It's something fun for amateurs and beginners," says @aakkari of the new "Akkari Poker Quiz" app. It has been an exciting couple of weeks for Brazilian poker pro Andre Akkari, highlighted, of course, by his fifth-place finish out of 1,682 in the PokerStars Championship Barcelona Main Event. The Team PokerStars Pro earned €317,960 for that showing, his second-largest career score behind the $675,117 he earned in 2011 for winning his first World Series of Poker bracelet in a $1,500 no-limit hold'em event. The finish in Barcelona carried Akkari over the $2 million mark in lifetime tournament earnings. Meanwhile Akkari has also found himself near the top of a few other lists recently — the ones tracking sales of new mobile apps. Two weeks ago the new Akkari Poker Quiz app was launched and immediately became the top-selling game-related app of the day in Brazil as well as the second-most downloaded app in the general category in Akkari's native country. The app features both a "Beginner Mode" and a "Challenge Mode." Beginner Mode features beginner-level questions about rules, poker terminology, and game situations. Challenge Mode includes similar questions while adding in more strategy, questions about counting outs and calculating odds, some poker trivia, and more. As Akkari explains, he was approached by the Brazil-based game developer Pepper Heads with the idea. "They had some success with previous apps that they did," says Akkari. "I thought it was great — it's something fun. It's not for professional poker players, just for amateurs and beginners." 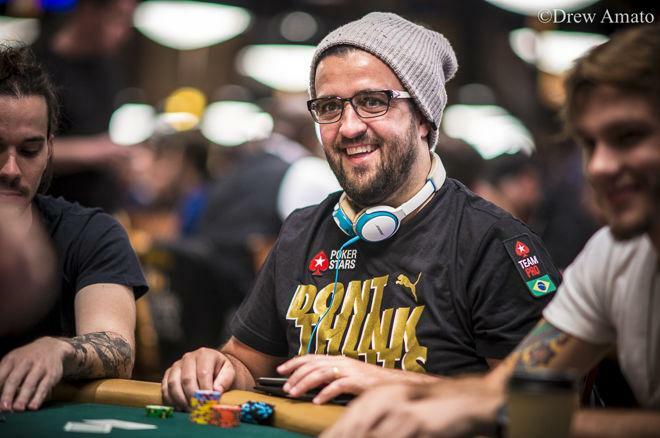 For more than a decade, Akkari has served as an important ambassador for poker throughout Latin America and beyond, and it's clear his interest in the new app is also motivated by a desire to introduce poker to those less familiar with the game. Indeed, as Akkari points out, experienced poker players can share the app with friends and family who don't play as a way to introduce them to the game. "I don't think that there's anything like it in the Apple Store," says Akkari. "Like a quiz for poker — and people love poker." Published by Appsolute Games, the app includes thousands of questions already, with updates planned to add further features beyond users simply quizzing themselves. "They are going to add a way to challenge your friends," explains Akkari. "And in September we are going to launch the rankings, and people will be able to get prizes for more points that they get. There's a whole list of features coming." The app currently allows users to toggle between Portuguese and English. An update is scheduled soon that will add Spanish as well. That might be only the start, in fact, as far as adding languages is concerned. "We got huge success in China the first two days, so they are going to try to do Mandarin," says Akkari with an incredulous grin. "I don't know if they're playing it in Portuguese or English, but we got to 12th place in trivia games there, and 24th in general games. In China!" The app made it onto the U.S. rankings for apps during its first week as well, finding spots on the lists for trivia games, card games, and general games. 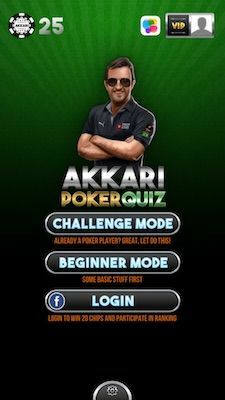 Akkari Poker Quiz is available through iTunes for iOS and via Google Play for Android users.